“Remember, with great power comes great responsibility,” Uncle Ben once told Peter Parker (a.k.a. Spiderman) in a poignant conversation that actually hit me. We humans hold a tremendous amount of power, enough to become the stewards and protectors of planet earth. We have the power to make the world a paradise for everyone in it or utterly destroy it. 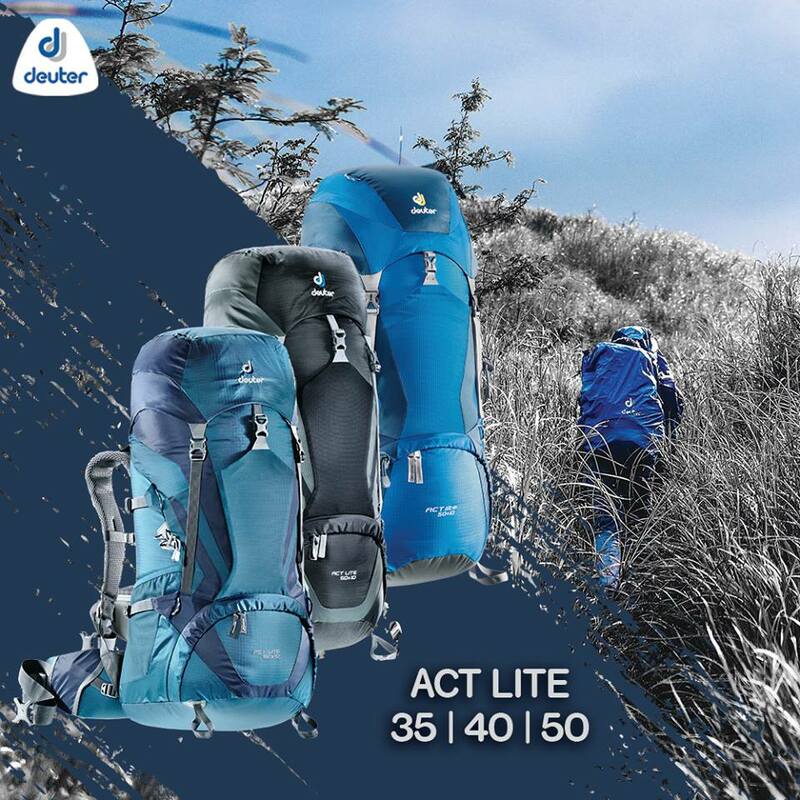 It is our choice. Unfortunately, there are people who choose the latter out of carelessness, laziness, and indifference. A part of these people are tourists, locals, and boat operators who throw their garbage at sea. With the massive, available amount of information about the harmful effects of garbage being dumped to the sea, we are at a loss as to why these people would do that. But there are eco warriors who take the fight head-on. 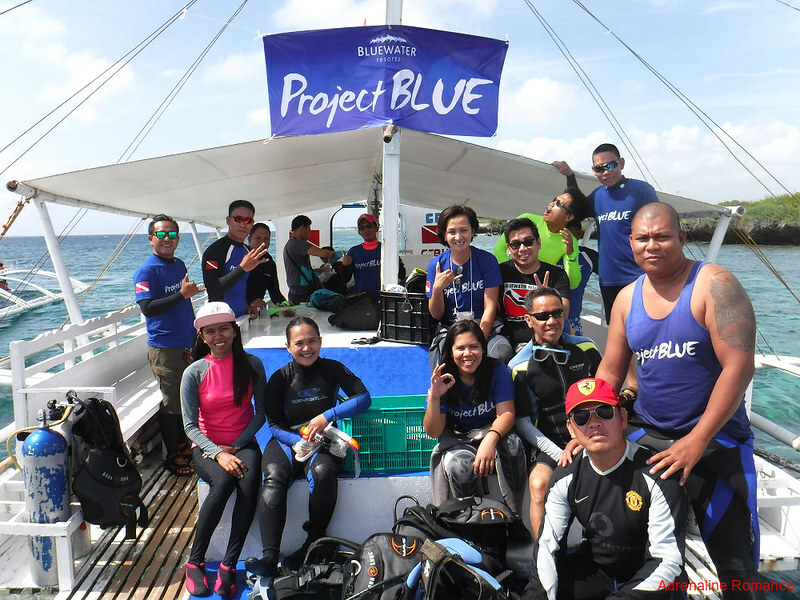 Eco warriors like Project BLUE and the divers of Project Aware who are dedicated to clean and protect our oceans. 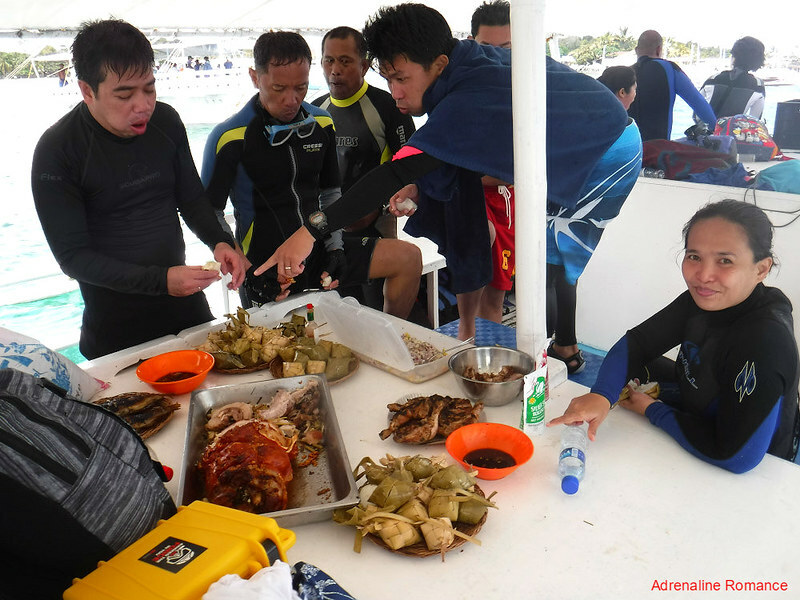 These heroes, courtesy of Sir Eric Monsanto, invited us to a reef cleanup activity dubbed Dive Against Debris. 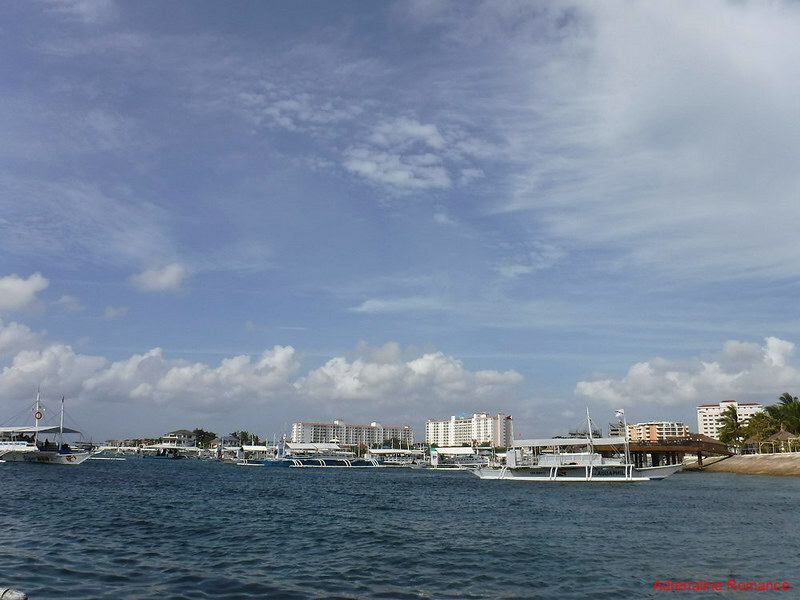 After having a hot breakfast courtesy of Bluewater Maribago and meeting the rest of the Project BLUE divers, we boarded a pump boat and cruised to the ceremony venue in Crimson Resort and Spa. 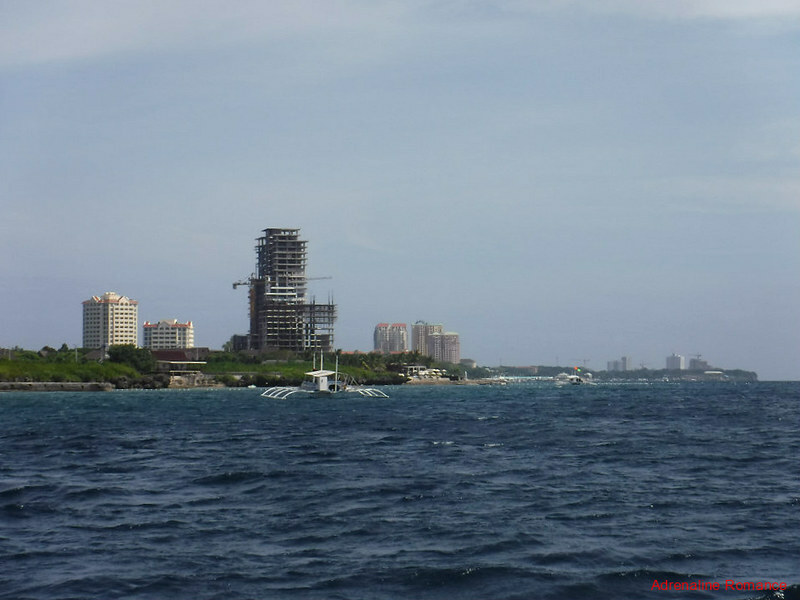 Along the way, we were excited at seeing the changing skyline of Mactan’s eastern seaboard. Economic development is in full boom in our beloved island. We arrived at Crimson Resort within 15 minutes, but it took us quite a while to dock due to the strong current. Nearby, we could see a lot of bubbles breaking the water’s surface, a sure sign of divers already underneath the waves and doing their work. The cleaning efforts were well under way when we finally docked and went ashore. Already, we could see that the divers brought a whole lot of garbage and colonies of coral-eating crown-of-thorns starfish. Check out the photo below. Can you see how much garbage were collected in just a span of one hour? Remember that this massive pile of junk is only in the in-house reef of Crimson Resort and Spa. Now, can you imagine the GLOBAL amount of debris we threw in our oceans? 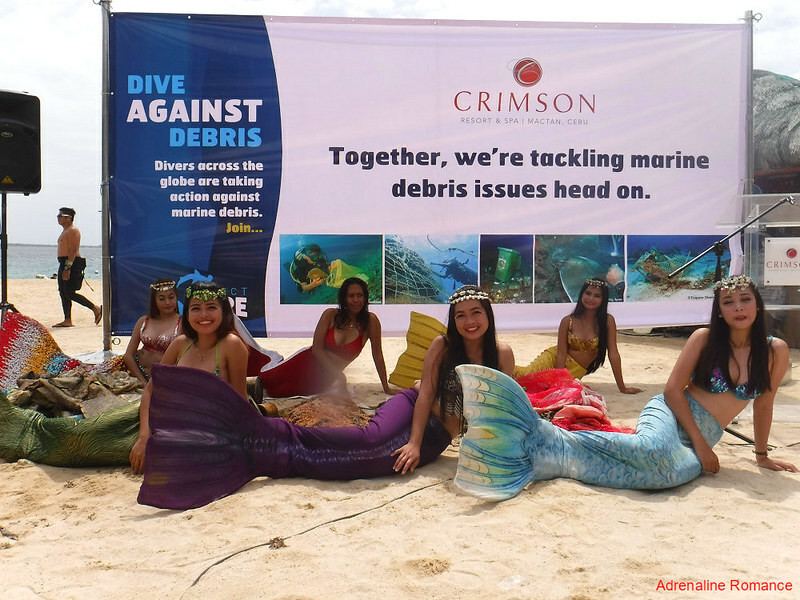 With unsightly garbage out of the way of their reefs, the pretty resident mermaids were truly happy. They even came ashore and posed for photos, much to the delight of the landlocked male species. It seemed that there were more than enough divers to take care of the Crimson Resort’s sanctuary. 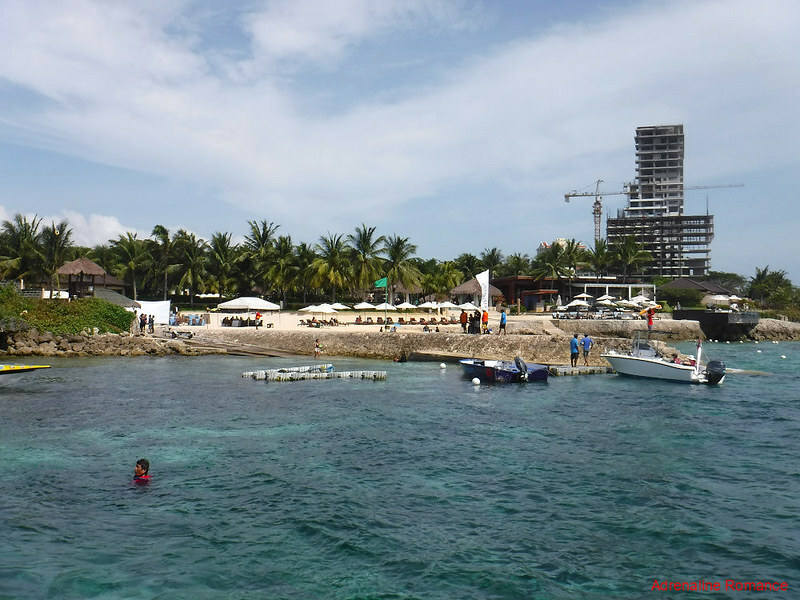 So we headed off to Project Blue’s home turf in Bluewater Maribago where we will clean the in-house reef. After assembling our gear and doing the necessary steps to ensure they were working properly, Sir Bookie took charge of the dive briefing. 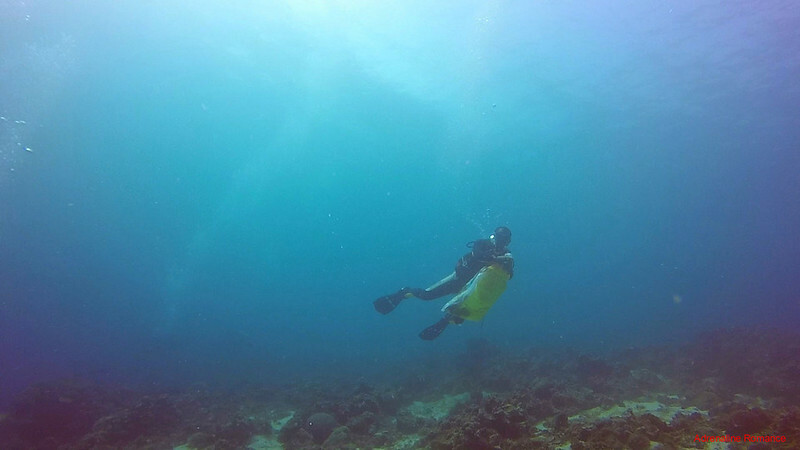 He is a certified dive instructor and has the rank of commodore in the Philippine Coast Guard Reserves. It was time to enter the water and do our work for Mother Nature. We brought empty rice sacks to contain the trash while we were underwater. 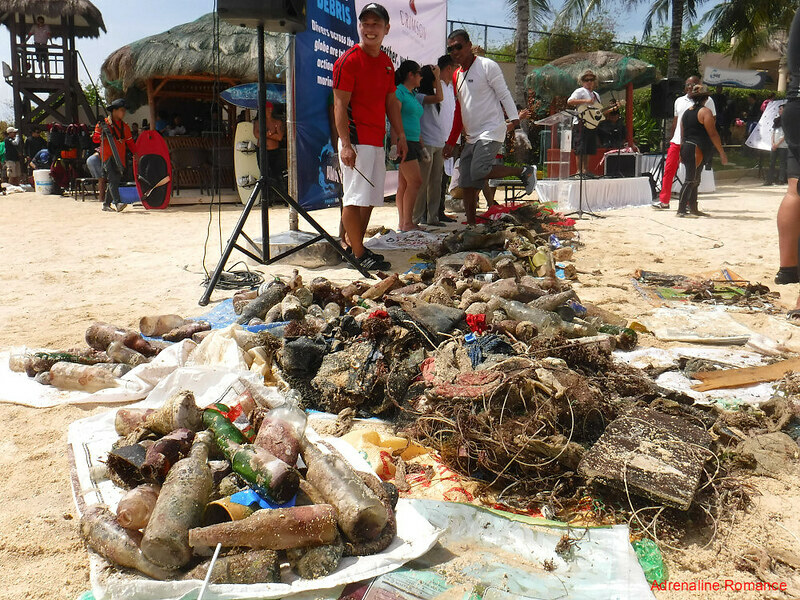 We cleaned the reef from a variety of things—bottles, cans, underwear, and more. It’s quite sad and disgusting to know that humans, who are supposedly the guardians of this planet, are carelessly making the sea their dumping ground. 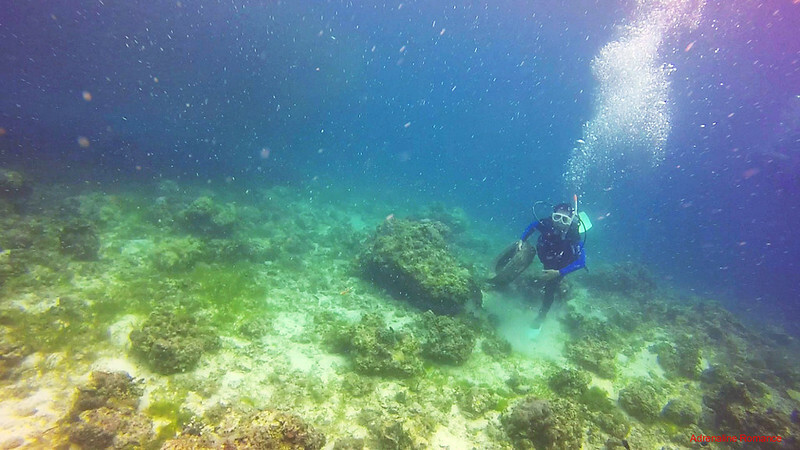 I had the honor of discovering and getting the biggest haul off the reef—a discarded car tire. I took it off the reef along with the other trash. Human beings wield a vast and terrible power, a horrifying capability to destroy the planet they live in. But at the same time, they can use that power inversely for good. People developing technologies to generate cleaner energy. Conservationists studying and saving countless wildlife. Law enforcers tracking and arresting poachers. Scientists going out of their way to inform us the workings of our planet. 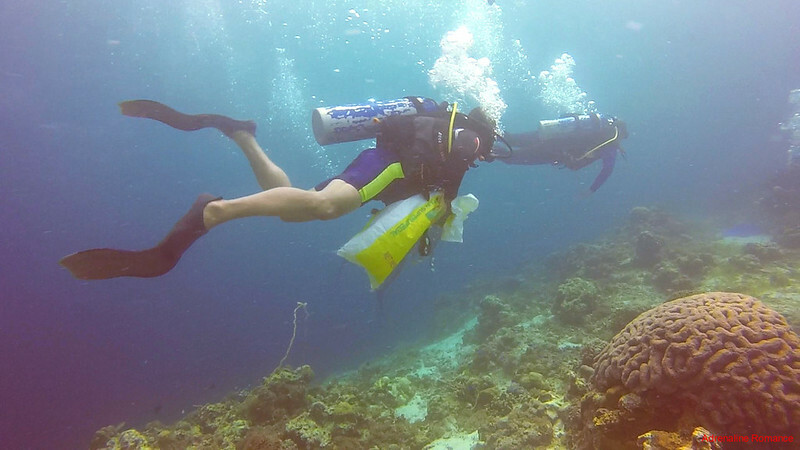 Ordinary people, like us, cleaning up reefs and mountains. Humans are the only species on Earth that actually have the technology, intelligence, initiative, power, and resources that can improve the planet. Oceans comprise 70 percent of planet earth. It provides oxygen, food, and many other things that Earth needs to survive. It is a bountiful resource for economic growth. 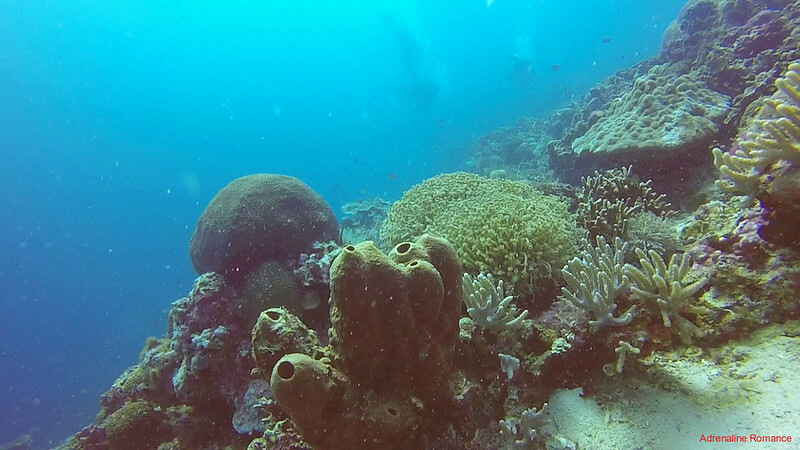 Within its reefs, flora, and fauna are the secrets that biotechnological and pharmaceutical firms can unlock to create medicines that can cure the most dreadful diseases. The sea holds meteorological, biological, and geological memories of the planet—-memories that scientists can study to understand how the Earth works. Yet, we are treating the Earth’s largest resource as nothing more than a gigantic garbage can. For us, it is quite mystifying and shocking how people could have the audacity to destroy something so vital and beautiful. 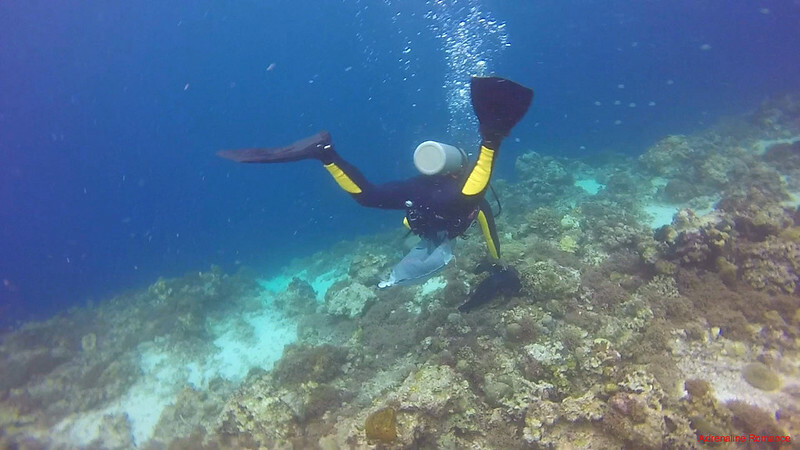 Let us take you to a small tour around the reef; appreciating the beauty of the sea makes you better understand the importance of protecting and preserving it. Virtually everyone knows who Nemo is, right? 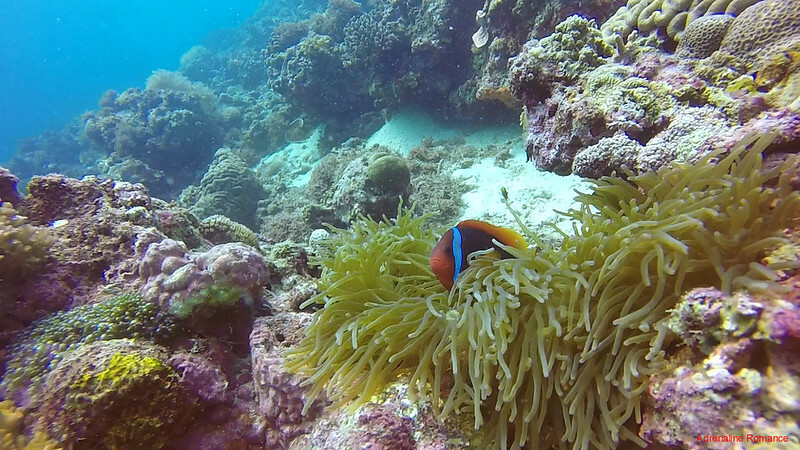 Well, there are plenty of Nemos and their respective anemone homes in the ocean. Seeing them dart in and out of the tentacles of their anemone (probably thinking these gigantic bubble-spewing monsters are going to attack them) is quite a joy. Sponges are some of the most common animals (yes, they’re animals) in tropical reefs. Their bodies have pores and channels that allow water to circulate through them. Structures inside their bodies trap microorganisms that sponges feed on. 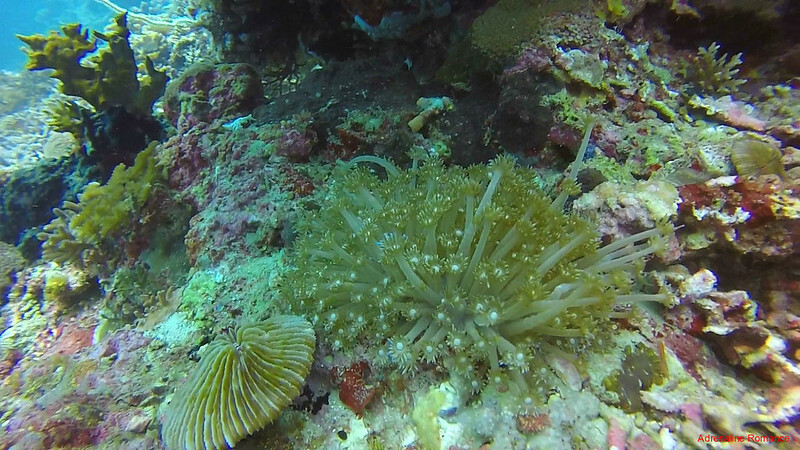 Sponges help clean and maintain the reef’s biosphere. In many parts of the world, sponges are cultured for various uses, from household materials to pharmaceuticals. Here’s an alcyonacean, another common type of soft coral found in reefs. They are used as shelter for reef fish as well as food for other predatory marine organisms. Salt-water aquarium enthusiast also collect them to adorn their aquariums and provide aquaria fauna a place for play and rest. Beside the alcyonacean is a sand dollar, a kind of spineless sea urchin. 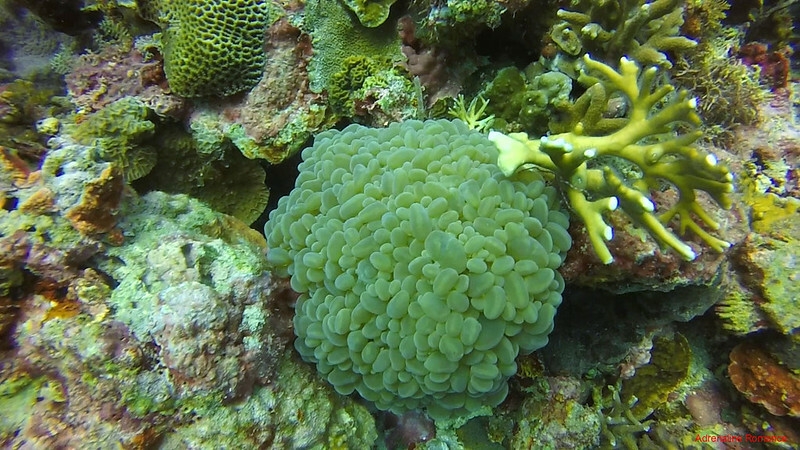 Bubble corals are some of the cutest marine organisms we’ve encountered. Their grape-sized bubbles can increase or decrease in size, according to the amount of light. They are bigger during daytime and smaller during nighttime. They use their tentacles to reach out and capture food. Is that a flower under the sea? 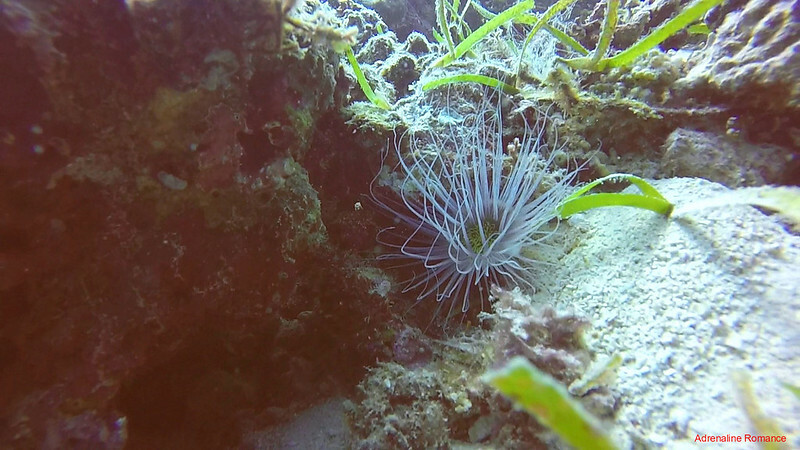 No, that’s a predatory anemone. It’s beautiful but deadly to small fish. 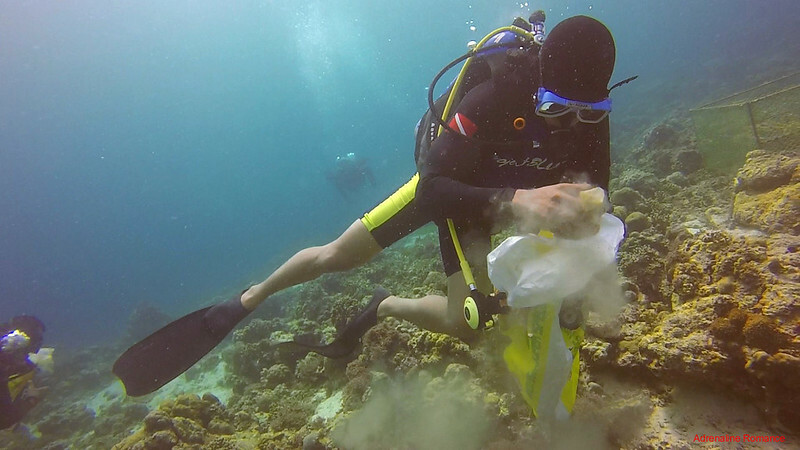 We gathered as much garbage in the sea floor—thankfully, we only filled a couple of sacks, which means the reef is relatively clean—as possible before we ran out of air. We headed back to our boat to have a well-deserved lunch of boneless lechon as well as grilled fish, chicken, and pork. Thank you Bluewater Maribago for the sumptuous meal. 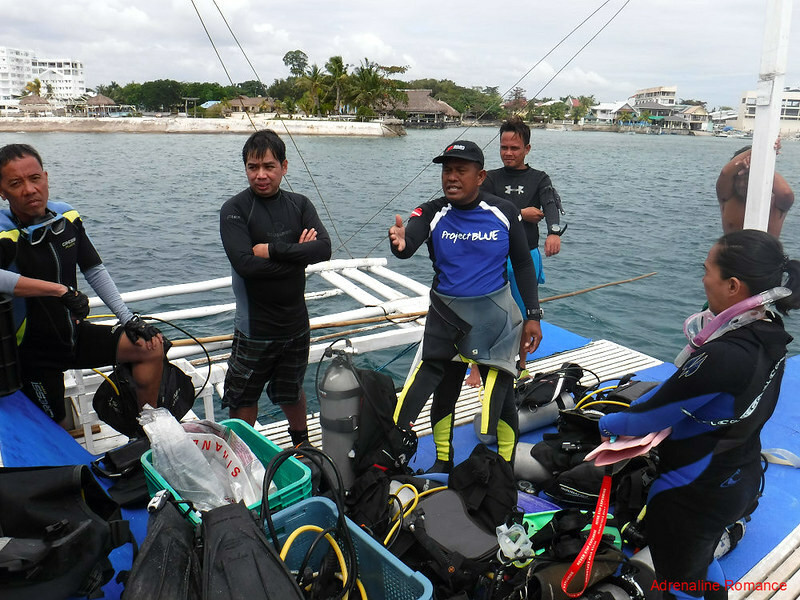 Thank you very much, Eric Monsanto and the rest of the Project BLUE team, for this opportunity to dive with you. As always, you opened our eyes on the importance of preserving the marine environment. You gave us the honor of being one of the stewards and advocates of Mother Nature. Lovely photos of marine life except for those debris you got there. Gross ano, tapon lang sila ng tapon? Yes, the world underneath the place is unimaginably beautiful. Too bad there are indifferent people who make it a trash bin. What a wonderful project to be aware of! We could really used the help in Ecuador. Along with the clean up, the locals need education about the importance of taking care of the ocean. We are relatively stunned that people here genuinely have no idea that it is bad to throw trash into the ocean. We try our best to spread the awareness…but this really needs the attention of bigger organization! 100% agree with you. For us, more than regular reef cleanups, locals need to be educated about the biology, geology, protection, and preservation of the oceans. Education is the best long-term solution to reverse this devastating trend. They are doing these indifferent, careless, and irresponsible acts, not knowing that they are destroying the very resource that they depend on to survive. Hoping we have a world-wide, long-term solution before it’s too late! I believe this is such a worthy project. It’s such a shame that our waters are filled with garbage and the water has become so murky in spots. Kudos to everyone involved. I’m impressed! What a great project! It will be a huge job to make people aware of how they are destroying our planet. That’s right. For us, a long-term solution would be educating the locals about marine protection and preservation; they are the main caretakers and stakeholders of these resources anyway. Cleaning is only a band-aid solution. Amazing project to be part of! I’m such a water lover and it’s horrible to see what’s been dumped down there. I would definitely love to be part of something like this! We may see trash on the surface, but a huge majority of the trash sinks to the bottom of the sea. That makes the cleaning so hard. Firstly good on you, great to see people clean up the community including the ocean. I have never been a diver, so any of my community work will be on dry land but it likes your efforts were a lot of fun. Nice read. The beauty of the ocean takes my breath away. Its insane how we keep destroying it. What a great cause. I’ll continue to explore your blog. Oh yes! That is why we love scuba diving. 🙂 It’s a waste not to scuba dive considering the world is mostly covered in oceans, and the Philippines is part of the Coral Triangle. But then, it is also important to understand that we have a responsibility to protect and preserve this resource. This has been such a great experience. I would love to try this if given a chance in the future. Thank you so much for sharing your love to our mother nature and hopefully people will learn from this blog post. 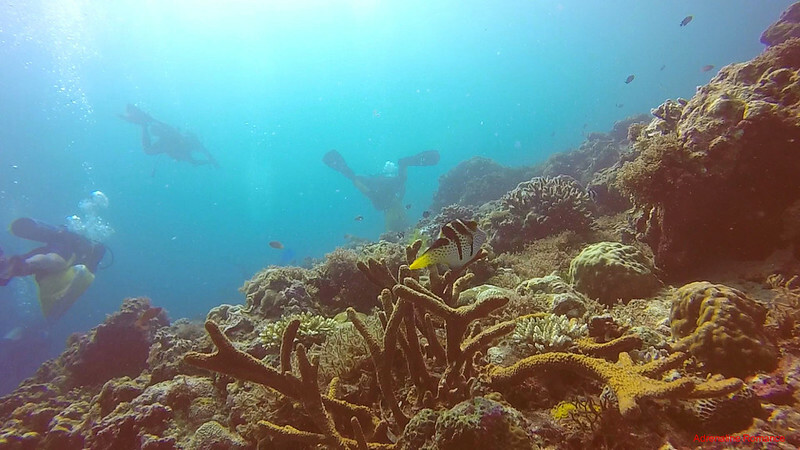 Yes, you definitely can join reef cleanups like this. But we advise that you try scuba diving first through a DSD session. Good job…..diving for a good cause. That must be a great experience. Thank you very much, Gokulr27. Just our own small way of helping Mother Nature. Ganito sana kami..kaso, hindi ako marunong mag-dive. Haha. This is a wonderful cause. We hope for more clean-up drives in other parts of the island. Yes, it’s a wonderful cause indeed. 🙂 But clean-up drives like these are short-term solutions. The long-term solution is to educate locals and stakeholders about eco-preservation and protection. If you think about it, the efforts we need to make to protect our planet seem humungous…but every little bit brings us closer…its possible! Everyone can see the overload mess but undersea debris is hidden from view..so its all the more important to remember that part. 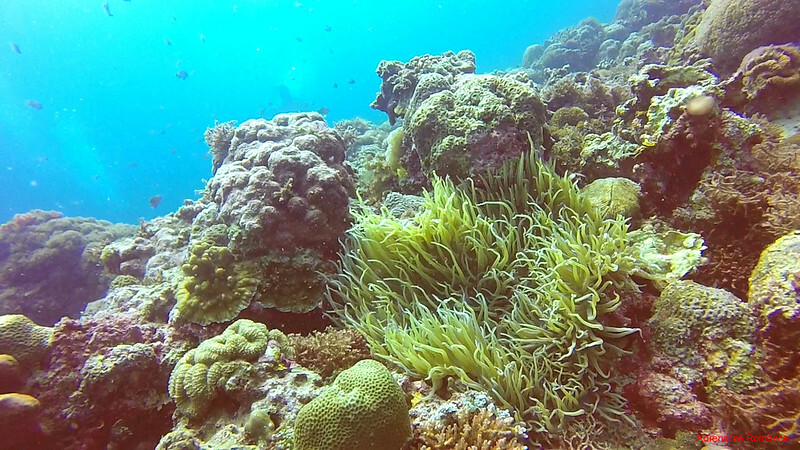 The reefs are so beautiful. But not sure, how long the beauty will be preserved if each one of us doesn’t take a step to protect it. Look at the garbage collected in just one hour!! Hi Neha, that’s right. We were actually aghast at the amount of garbage collected in such a short time. We should all do our part in preserving the ocean. We definite agree with you. We are actually shocked at the fact that people are using the ocean as a global trash bin. It’s very depressing. There is indeed plenty of things to do to help the ocean flourish and recover. It all starts from the simplest of all human actions—respect.